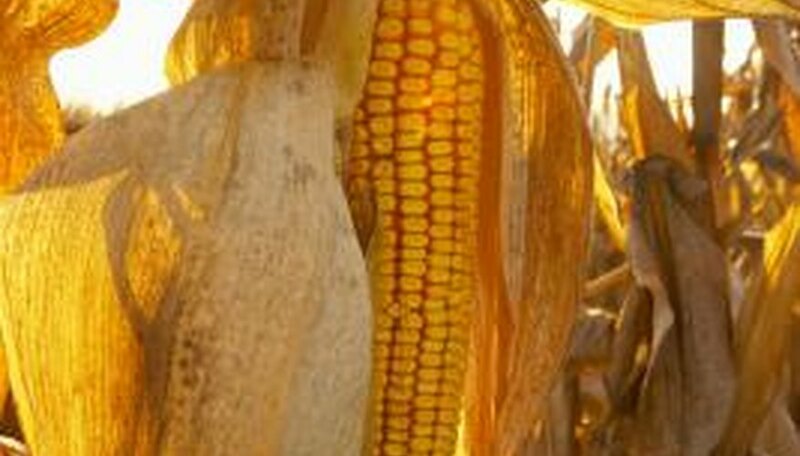 You've invested a lot of time and work into your cornfield, and now you risk losing your sweet corn to pesky birds. Birds are interested in eating your crop when the stalks are still young seedlings and when the ears begin to fill out. In between these times, your field should be safe from them. Protect your seedlings with a covering of chicken wire. Protect your older stalks before harvest with a combination of pesticides and scaring devices. Scaring devices made especially for birds include special tape and balloons. You may also use noise devices. Bend a long sheet of chicken wire into an inverted “V” shape. It should be 10 inches tall and as long as your row of corn, or you may use several pieces back-to-back. Place the chicken wire over newly planted seedlings. Remove the wire once the plants reach the top of it; birds will no longer be interested in seedlings that tall. Hire a licensed applicator to apply Avitrol bait to your field. This pesticide, not for use by the general public, will kill a few nuisance birds. When other birds hear the distress calls of the affected birds, they are more likely to stay out of your fields. Place a few speakers in your cornfield. Michigan State University Extension recommends using two speakers for every five to ten acres. Use them to periodically broadcast bird distress calls and other bothersome noises, such as train sounds, traffic noises and industrial metal music. Plant a series of posts along the outer edges of your field, about 5 to 10 feet apart. Attach aluminum-mylar bird-scare tape along the posts, at least 18 inches over the tops of the stalks. Twist the tape several times before attaching it to each post. Use special balloons made especially for scaring birds. Tether the balloons to posts so that they are at least 3 feet above the stalks, recommends Michigan State University Extension. Use at least one balloon for every three to five acres. Suspend aluminum pie plates around your fields if you'd prefer not to purchase special bird-scaring devices. Hang several pie plates from posts at least 2 feet above the stalks. These plates may not work as well as other devices, however, since they rely on wind to make noise to scare the birds.